Tilt and turn windows are known for their simplicity and practicality. They can either swing open like a door or tilt inwards for ventilation with a simple turn of our ergonomic handles. 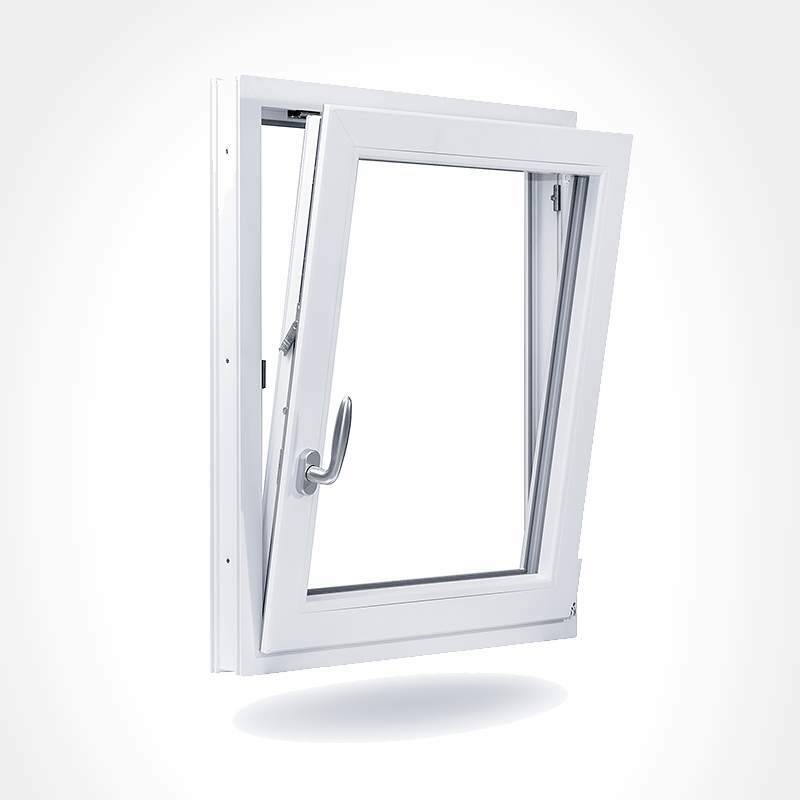 Standard in much of Europe and growing in popularity overseas, tilt and turn functionality allows easy ventilation and continued fresh air without having to leave the entire window wide open. Neuffer's tilt & turn windows use only the finest German hardware available to ensure effortless operation and long term durability. Whether as a replacement for existing casement windows or new construction, tilt and turn windows are the best choice for every modern home. Old-fashioned single and double hung windows (also called sash windows) have long been popular in Canada and other English speaking countries. With one or two sashes that move upwards and downwards, they suffer from a variety of problems. In addition to being difficult to clean, their opening mechanism is rough and hardly ergonomic. The tracks on each side often wear out making them even more difficult to open, frequently moving unevenly and weather only makes it worse over time. Casement windows improve things a bit, being mounted on hinges on each side and swinging open and shut like a door. This allows for quick cleaning, escape in an emergency and larger uninterrupted views. However, they still lack the ability to crack the window and maintain a breeze as with sash windows. Enter tilt and turn. Invented in Germany and long since standard in most of Europe, it combines the best features of both and has none of the disadvantages. By rotating into the horizontal position, the casement swings fully open like a door. Continue rotating it the full 180 degrees and the casement tilts inwards to allow fresh air in. Neuffer offers a range of options enabling you to design the ultimate bespoke solution for your project. All of our window profiles are offered in wood and vinyl (uPVC) as well as aluminum clad versions of both. We offer the full RAL colour range for wood as well as stains and natural finishes. For vinyl, you have the choice of a large selection of colours and decorative foils which are applied during the manufacturing the process including favorites such as anthracite grey. They offer the additional bonus of increasing weather resistance and protecting against scratches. For aluminum, there is a large range of powder coating options and all surfaces are anodized as standard. Finally, you may also opt for dual colours to better match both the facade and interior. All products are delivered prefinished and ready to be installed. With both double glazing and triple glazing, each custom window can be fine-tuned to fulfill your exact needs and specifications. First and foremost, in order to achieve a top energy rating as well as save money, it is critical to choose glass with a low Ug-value such as 0.7 or 0.6 (lower numbers mean better insulation). You'll want a minimum of two, and ideally three panes per window. While double glazed windows have become standard, building and energy standards are moving to triple which is now recommended for new windows. Choosing warm edge spacers between panes along with argon gas filling will further boost thermal performance and reduce your monthly energy bills. However, insulation does not end there. Your window can be further optimized to insulate against and reduce noise. Like heat, sound is nothing more than energy. 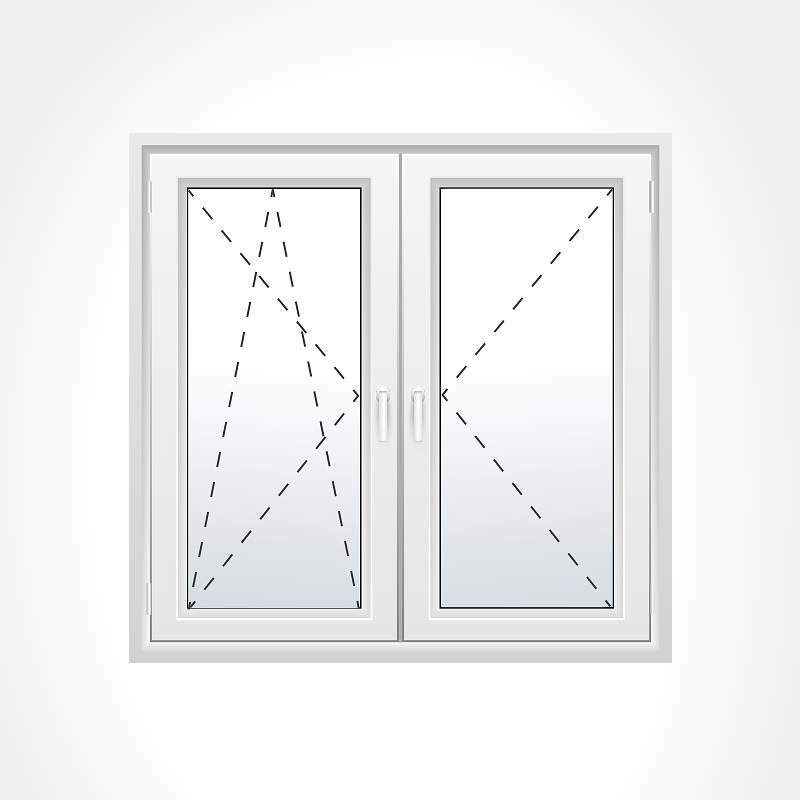 To reduce external noise, a series of panes, air gaps and gas fillings can be used to make it difficult for sound waves to move through the window, reducing their energy and thereby their volume. We offer laminated safety glass in various thicknesses to increase security and make forced entry more difficult. This consists of two sheets of glass sandwiched together with a special foil laminated between them. This prevents glass shards from fall out if broken and thus the window can be hit repeatedly and not shatter. It will produce a spider web pattern such as on damaged car windshields. It can be easily combined with insulating and soundproofing glass without issue. 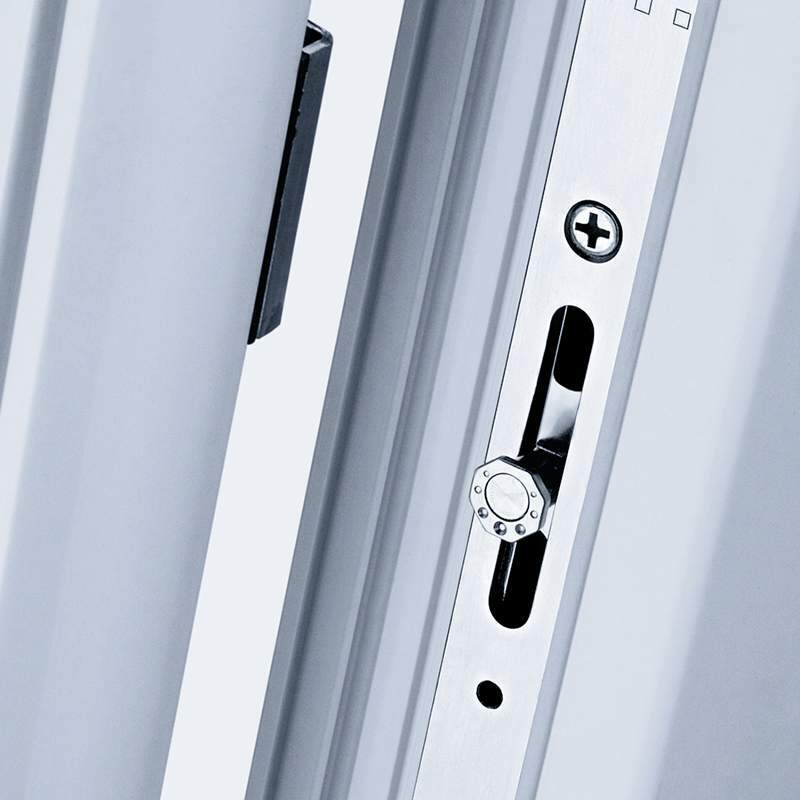 Finally, whether your window is wood, vinyl or aluminum clad, we offer a range of fine German hardware for every tilt and turn window, starting with handles. From aluminum to stainless steel, Neuffer carries a variety of handles in different materials and styles including non-locking and locking (push button or key. Each sash and profile can also be upgraded with multi-point locks and different hinge options. Whatever your choice, our German engineered and manufactured windows are low maintenance and will last for many years.